“Do you believe in love at first sight and feel as if it will stay with you forever?” The design process is like falling in love: once you encounter a well-designed product, you immediately fall in love and desire to use that product. 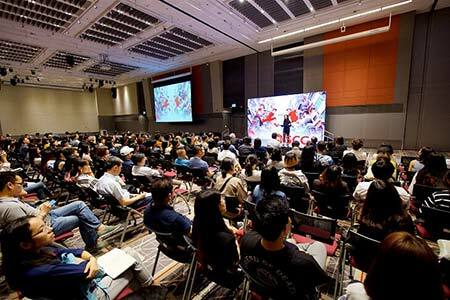 Recently, SCG Packaging held “Design Talks 2018”, an educational seminar organized annually that aims to share knowledge about packaging design to designers and the general public. This year marked the fourth time the seminar is held, and SCG welcomed Ms.Pum Lefebure, an internationally recognized Thai designer who co-founded Design Army, a famous design company in Washington, D.C. in the US who had collaborated with leading international brands from Academy Awards, Adobe, GE, to Disney. She was also praised by the Washington Business Journal as a businesswoman to watch and also chosen as one of Adweek’s Creative 100 in 2016. 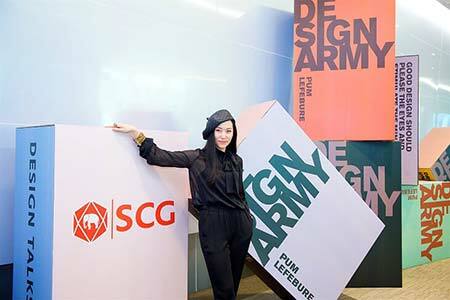 At SCG Bangsue headquarter, Ms. Pum shared her perspective, experiences, ideas and design processes that led to immense success for brands that were her clients. “I am not a Designer. I am a Seducer”, was the new definition of what a designer should be according to Ms. Pum as she led the audience to consider what needs to be done in order to invite people to fall in love with brands and products. In an era when aesthetics are not the only answer, young designers need to have unique ideas and plans to create a seductive quality for the product, as it will make the product as well as the designer stand out from others. The three principles that the co-founder of Design Army held on to when designing products are Flirt – Romance – Seduce. Ms. Pum compared the process to dating, from finding an interesting target, researching the target’s like and dislikes, and the best methods to approach the target. Then, introducing oneself and flirting in unexpected ways, which will entice the target to be interested and fall in love. To further illustrate the importance of seduction in creativity, Ms. Pum showed the audience examples of her work, from changing the niche art form of ballet to become a piece of contemporary art through models wearing modern sportswear combined with the landmark of each country, to transforming a traditional glasses company to become an edgy brand with advertisements that told the story of passing on the love of glasses through the generations. 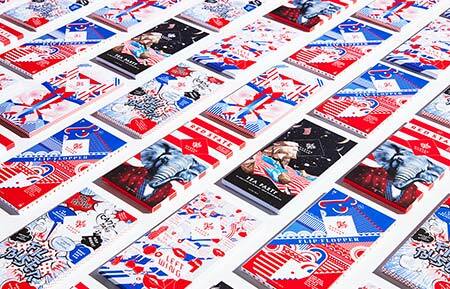 She also solved the problem of lower sales of chocolate in the summer by addressing the feeling of people towards political parties to compare to different flavors of chocolate, combined with packaging design that told the same story, resulting in the political chocolate series to sell at a much higher rate. Another tip from Ms. Pum was that designers should sketch their ideas by hand, rather than utilizing technology like computers. She insisted that if drawings or writings are not put down by hand, it would be impossible to see the whole picture and it would complicate the internal work process as well as explaining it to others. Moreover, sketches made by hand are uniquely individual and cannot be replicated, thus, it is another way to add more charm to the design. Throughout the seminar, there was laughter and appreciation among the 300 participants. With events like this, SCG is determined to take part in creating inspiration for success and driving forward the design industry in Thailand as well as uplift the packaging industry to grow sustainably in Thailand and in the world.